What do they teach our children? The invasion of monsters began decades ago, and it quickly transformed the world of entertainment. With little resistance, an army of cute-ugly creatures swept into toy stores, television and movies. They now adorn children's clothes, bedding, wallpaper, lunchboxes and books. And many have pushed their way into children's hearts on the backs of seductive myths that mold their thoughts and manipulate their imagination. They all serve a set of strategic social goals: They entertain. They shift a person's attention from real world to a more titillating realm created by those who write the myths and steer the imagination. They desensitize their fans to mystical images and symbols of evil. And they stir a craving for more intense excitement of the same kind. Eventually the real world of nature, families, work and responsibilities becomes too boring to be enjoyed. Who cares about truth and facts when myths and fantasies seem far more exciting? Today's culture has little tolerance for Biblical watchfulness. Instead, the postmodern masses are embracing their mythical heroes with a driving passion that often eclipses both family and reality. The more shocking, crude and ugly, the more cool and captivating the product. Hollywood and toy makers know that well. Perhaps you remember the Madballs from the late eighties. The grotesque bouncing heads bore matching names like Wolf Breath, Swine Sucker and Screamin' Meenie. With shrewd foresight, their inventor, Ralph Shaffer, suggested that his successful minispheres would "take the world of cute-ugly into a new direction." He was right. The ugly-ugly as well as the cute-ugly was turning the corner and pulling Western culture with them. Grotesque, demonic-looking creatures with fiery eyes invaded toy stores, then stayed. Many were mutants - part animal and part human, or a mixture of various animals and monster - and most could wield the kind of supernatural power prescribed by their built-in myths and stories. They won incredible popularity. Children quickly overcame their natural aversion to scary images and learned to treasure these ugly, hybrid, mutant supernaturals. 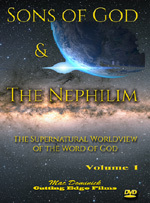 Few noticed their resemblance to the demonic creatures described or suggested in the Bible. One of those early creatures of darkness, Black Star, would ride on a green horse with huge bat-like wings and a long dragon tail. Its eyes were glowing red and a long tongue dangled from its mouth. Another popular invader, Dark Dragon, had black wings and a huge tail with red scales along the sides. It had a lion's mouth, teeth, and claws. Its eyes were glowing red, and out of the center of its forehead shone a large, green third eye. Its chest would open and expose a skull. No wonder children and young adults learned to love horrible images, scary movies and dark, demonic computer games. "These [creatures] that show up in archeology and what we would call mythology were not just figments of the imagination. They were literal physical demonic entities that appeared to civilizations of the past. These types of demigods or demonic beings were represented as part human and part animal in their characteristics like this bird-human of the Assyrians. [They can be] horse-and-human like centaurs. Or fish-and-human like the god Dagon of the Philistines ... or part jaguar and part human. "Notice that tongue hanging out over the chin -- which is a universal symbol of demonic possession ... One of the most popular combinations is human and serpent. You can find them on the toy shelves. It's not surprising that pagan religions worshiped serpents and dragons, for the Bible tells us in Revelation 12 that the old serpent, the dragon, is Satan the devil." Nor should today's growing popularity of devilish images surprise us. The Bible prophesies that demonic activities will escalate before and during the reign of the Antichrist. Could the multiplication of demonic-looking, alien images be part of Satan's plan to prepare us for these awful future events? Even for an invasion of demons? After 20 years of research, we believe that the demonic theory dovetails extremely well with the totality of UFO phenomena.... In fact, we know of no UFO contactee who is not basically a spiritistic medium. In addition, we have read hundreds of articles from the oldest and most respected UFO journal, the British Flying Saucer Review, that indicate the psychic and/or non-extraterrestrial aspects of UFOs which, given their actions and messages, indicate probable demonic origin." The UFO phenomenon simply does not behave like extraterrestrial visitors. It actually molds itself in order to fit a given culture.... [The] goal seems to be psychological and social manipulation." Ankerberg and Weldon tell us that "In the U.S. alone, tens of millions of dollars have been spent in official UFO investigations by the CIA, FBI, U.S. Army Intelligence, Naval Intelligence, and other organizations." They quote astrophysicist Dr. Jacques Vallee who describes UFOs as "a bizarre, seductive, and often terrifying phenomenon reported by many witnesses as contact with an alien form of intelligence." Naturally, many UFO enthusiasts would disagree. Decades ago, New Agers began to circulate an interesting theory concerning the coming disappearance of millions of Christians: A fleet of UFO's and extraterrestrials will suddenly swoop down to earth and abduct all who resist mankind's spiritual evolution toward global oneness. But that was wishful thinking. On the other hand, Revelation 9:1-11 foresees a day when the Abyss (the bottomless pit where Satan will be cast) will open with a burst of smoke and release an army of powerful, deadly creatures onto the earth. They will look like a mixture of man, horse and locust with wings. They will have stinging "tails like scorpions," and their commander will be Satan himself. Our sovereign God will allow it; for man's evil - as in the days of Noah - and God's eternal justice will call forth His judgment. Though children are born with a natural fear of hideous, shocking and evil-looking creatures, this God-given protection has been dulled by America's massive media marketing system. Children are being conditioned to embrace demonic manifestations, whether they come as intelligent rescuers from outer space or as evolved mutations from earth itself. Why wouldn’t most children accept these lies? Today's belief in evolution leads them to trust that other forms of life must have evolved elsewhere. After all, humanist dreamers tell us, there is no God, but if He existed, He wouldn't have created the whole universe just for earthlings. Maybe He would. Maybe God, who sent His own Son to die for us, would create a universe so vast that man's ego - which wants to explain every mystery without God's help - could not be satisfied. Maybe He did it to show us the immeasurable greatness of His sovereign, creative powers and the infinite width, length, height, and depth of His magnificent love. I believe He did. Or who has first given to Him and it shall be repaid to him?" 1. Jacques Vallee, Messengers of Deception: UFO Contacts and Cults (Berkeley, CA: And Or Press, 1979) pp. 9-10. 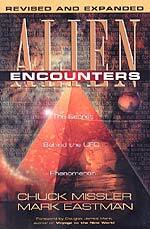 Cited by John Ankerberg & John Weldon, The Facts on UFO's and Other Supernatural Phenomena (Eugene, OR: Harvest House Publishers, 1992), page 9. 2. Larry McLean, from tape of lecture titled, "The Rising Interest in the Supernatural," given at the Seventh Mid-America Prophecy Conference, Oklahoma City, 27 July 1988. 3. Ralph Shaffer, the director of new-product development at General Mills Toy Group (which included Kenner and Parker Brothers back in the late seventies) worked with Bernard Loomis, who conceived the idea of sets of action figures "with lots of characters and a story tying them together." Promoted through television, these toys required little personal imagination since they came with built in myths and pre-designed personalities. Read the interesting history by David Owen, in "Where Toys Come From," The Atlantic Monthly, October 1986. 4.Larry McLean, from tape of lecture titled, "The Rising Interest in the Supernatural" given at the Seventh Mid-America Prophecy Conference, Oklahoma City, 27 July 1988. 5. John Ankerberg & John Weldon, The Facts on UFO's and Other Supernatural Phenomena (Eugene, OR: Harvest House Publishers, 1992), page 6.